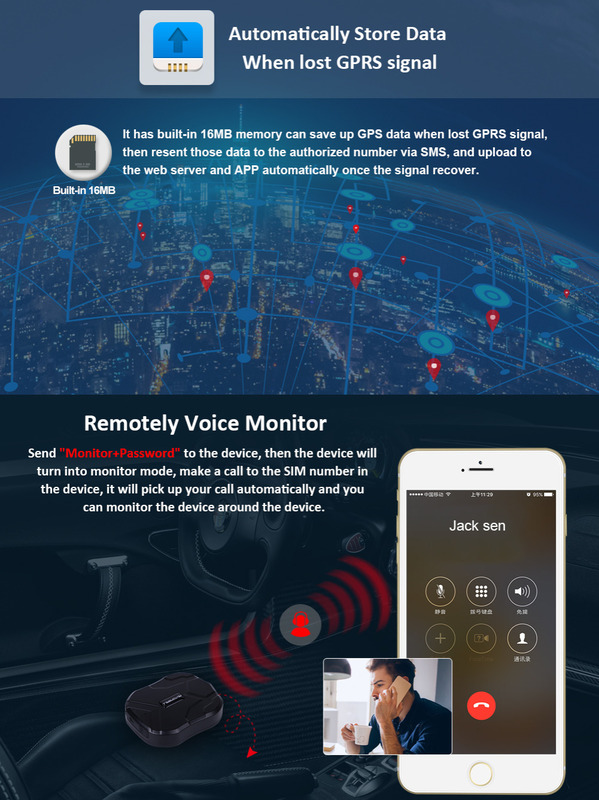 Cheap car tracker, Buy Quality gps locator directly from China gps tracker Suppliers: GPS Tracker Car Tracker Vehicle GPS Locator TK905 Waterproof Magnet Standby 90Days Real Time LBS Position Lifetime Free TrackingnEnjoy ✓Free Shipping Worldwide! ✓Limited Time Sale ✓Easy Return. 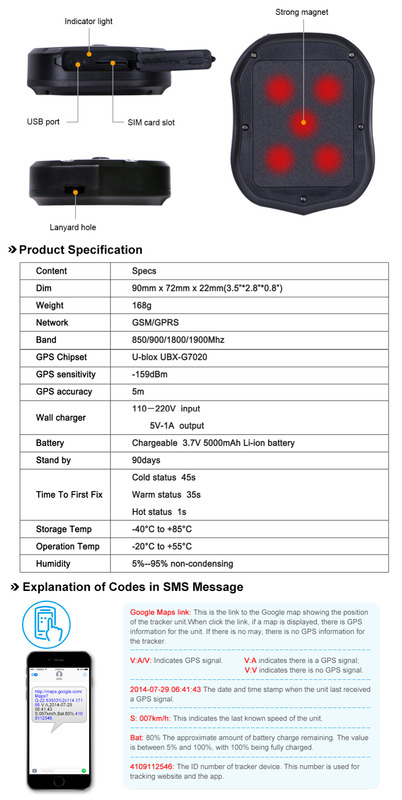 This product TK905 is a 2G GSM GPS Tracker which is working based on the existing 2G GSM/GPRS network and GPS satellites, it can locate and monitor any targets remotely by SMS, mobile APP and web tracking software! 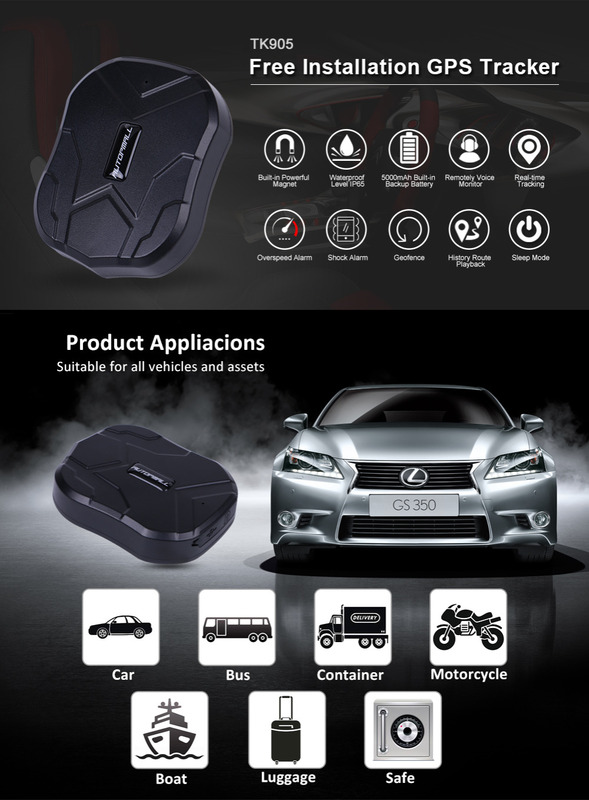 What's more, it supports GSM Quad Band Frequency(850/900/1800/1900Mhz), can work perfectly around the worldwide! 1. GPS+LBS Dual Positioning Ways: If the gps signal is good, the device will locate via gps satellite, if not, the device will locate via LBS! Under GPS locating mode, the accuracy is 5-10 meters, under LBS locating mode, the accuracy is 100-1000 meters! 4. 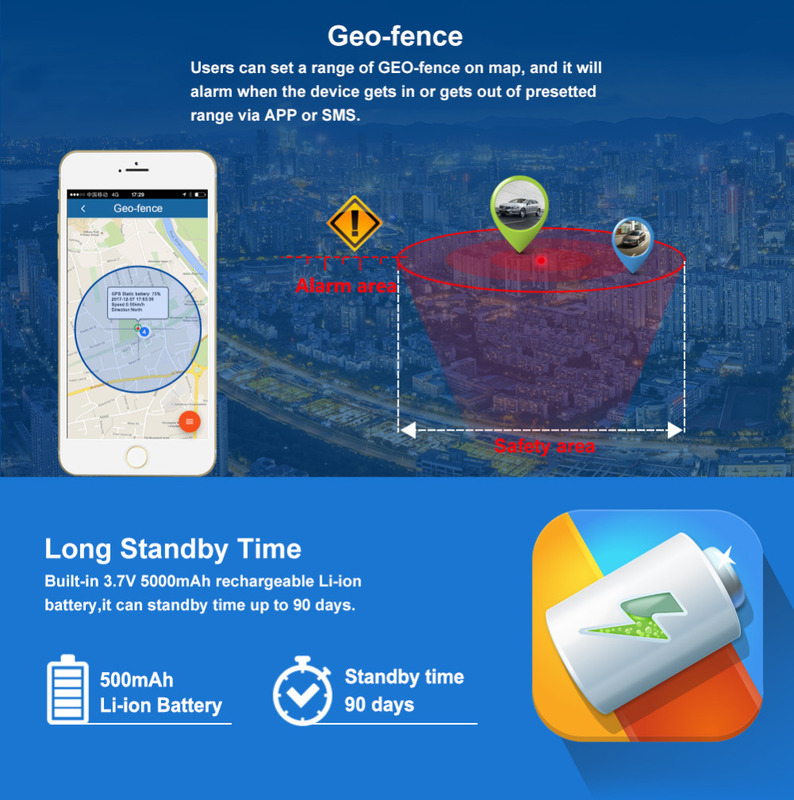 Long Standby Time: It has built-in 3.7V 5000mAh Li-ion battery, can standby up to 90 days. 5. 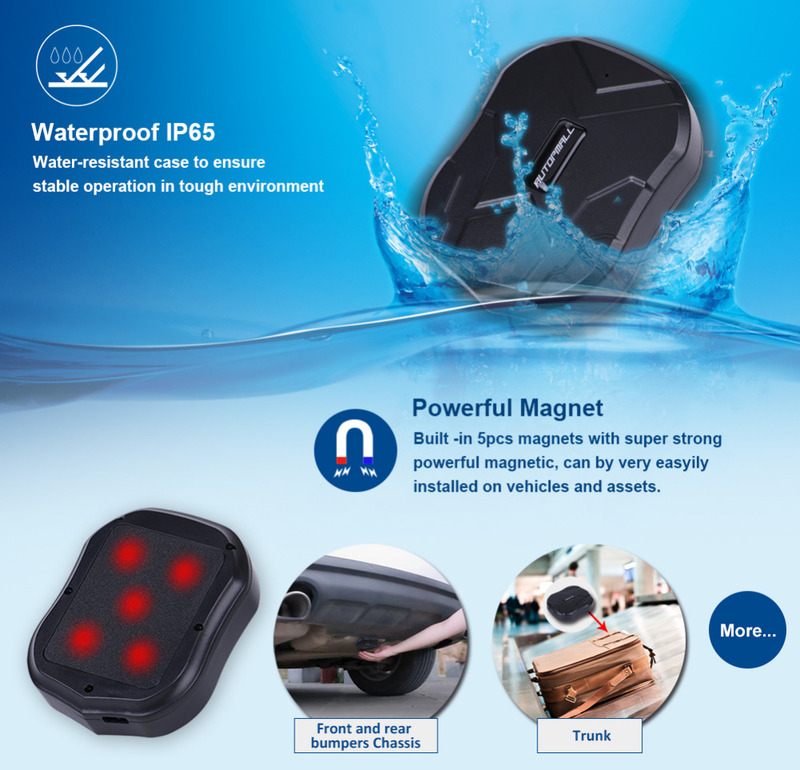 Powerful Magnetic: It has 5pcs built-in magnets,with super strong powerful magnetic,can be very easily installed. 6. Waterproof: The waterproof level of this device is IP65, it can resist splash water but can't be put under water! 9. Shake Alarm: After you did the shake alarm setting,please keep the tracker being stationary for 5 minutes, then this function will start working. 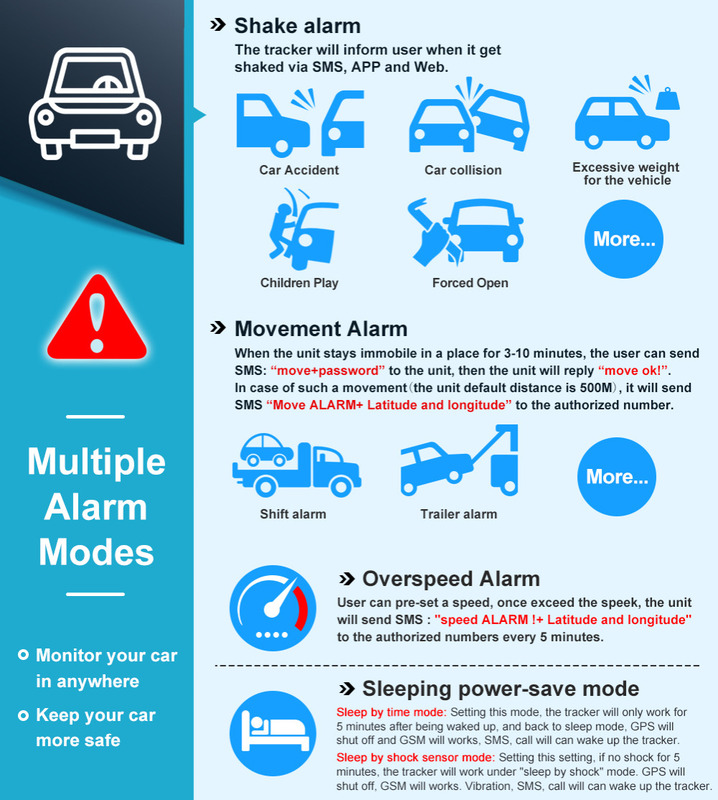 It will send SMS “sensor alarm!” to the admin number when the unit get shocked. 11. 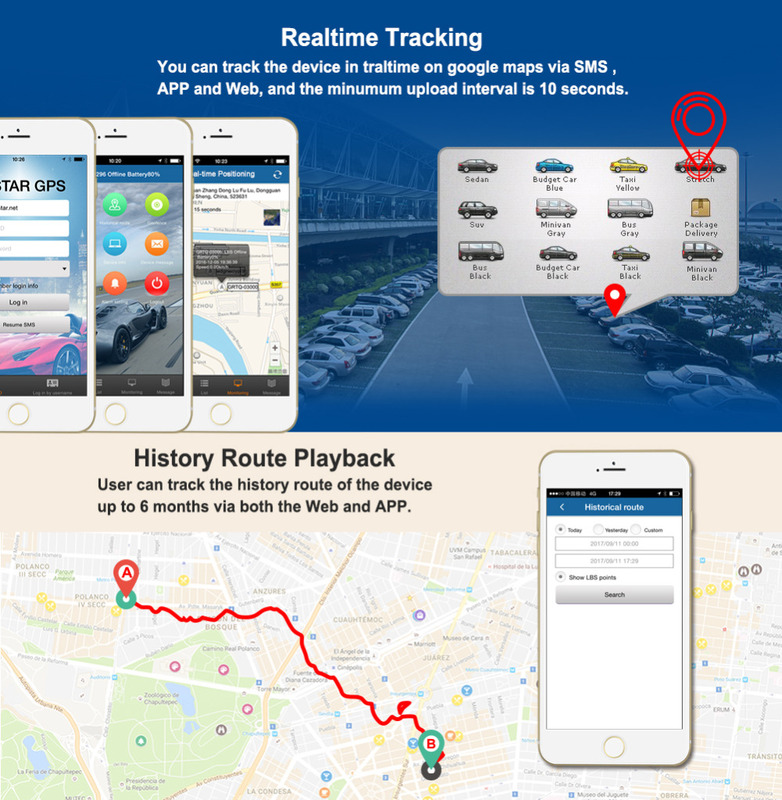 Geofence: Set up a geofence for the tracker to restrict its movements within a district. The unit will send alarm information to APP and web server when it goes out of or get in this district. * This device just can work with 2G GSM network, and this item will not include Sim Card,please buy it from your local. * Please make sure the GSM card has opened the call ID display function and turned off the call transfer. * Please use the normal SIM card for the tracker, not Micro SIM or Nano SIM.